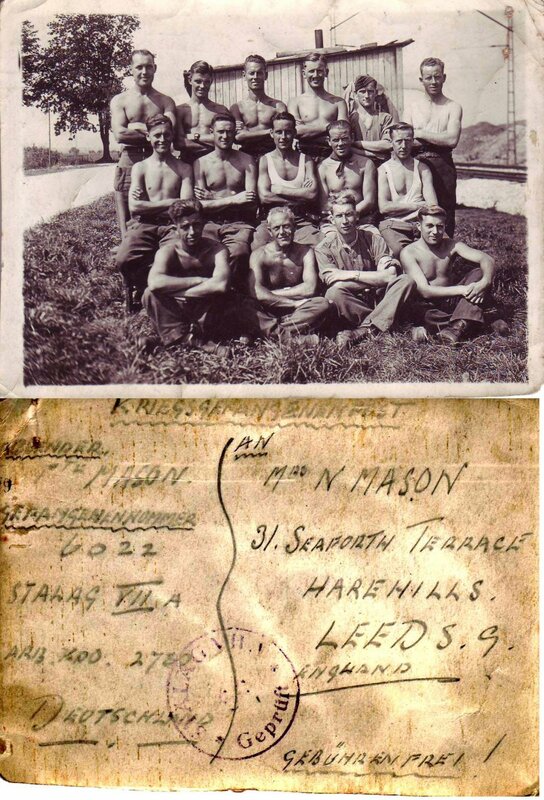 This is a photo of my uncle Albert Mason (2nd from left at back - British Army) sent from Stalag VII A, Arb. Kdo. 2780. Arbeitskommando 2780 is not in the Moosburg Online list - I wonder if anbody has any information about it. Harold Siddall's website mentions work camp 2780A in Pasing, a suburb of Munich, and states that the camp was owned by the main railway station in Munich. In my photo you can see rails and rail towers on the right. I have no written documentation about my uncle but based on his POW number 6022 compared to Harold Siddall's 5850 he was probably captured in Greece or Crete, assuming that the numbers were issued in sequence. Last update 17 Nov 2005 by © Team Moosburg Online - All rights reserved!